DOUBLETREE HILTON LEEDS WEDDING – LAURA & ANDY. 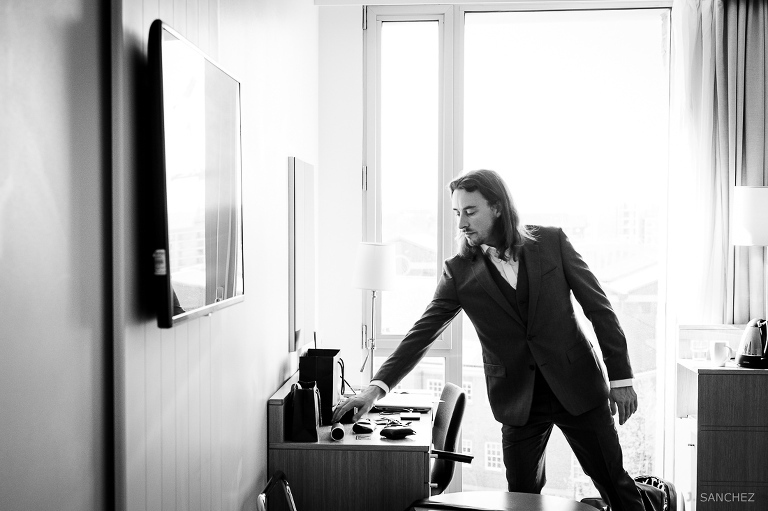 DOCUMENTARY STYLE WEDDING PHOTOGRAPHY AT DOUBLETREE HILTON LEEDS. 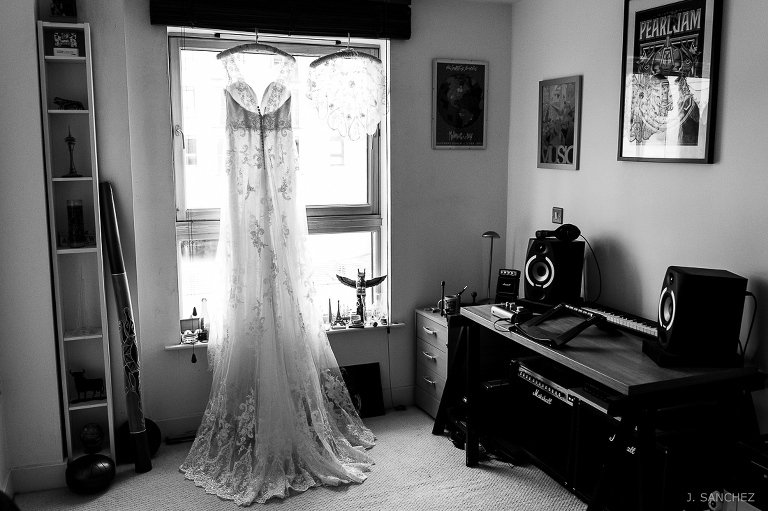 It was a bright and sunny day in Leeds last April when Laura and Andy were married. The wedding venue they had chosen was the Doubletree by Hilton Hotel in Leeds and there were a few special things that stood out for me on this wedding day that I would like to mention and share with you. 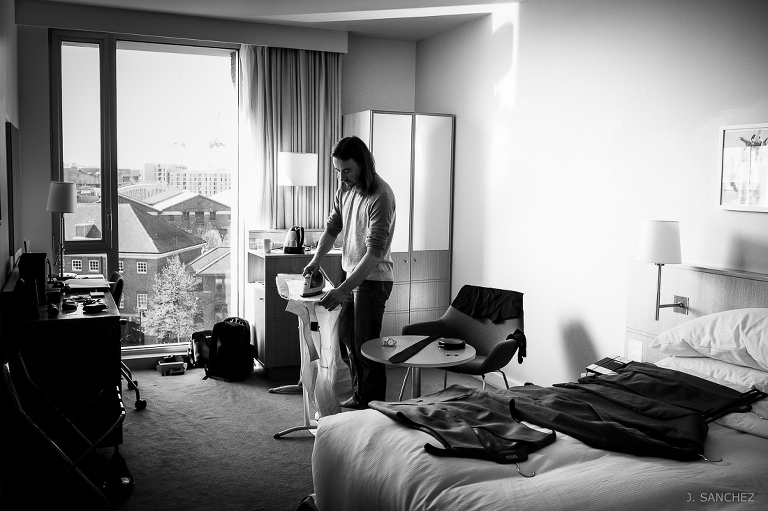 I started early in the morning at the hotel taking some pictures of the groom getting ready and it was becoming apparent from the hotel window that it was going be a beautiful day with wonderful natural light.. After this I headed to the bride’s house. She was there doing her make-up and her hairstyle together with the some help from her sister and the sister of the groom. 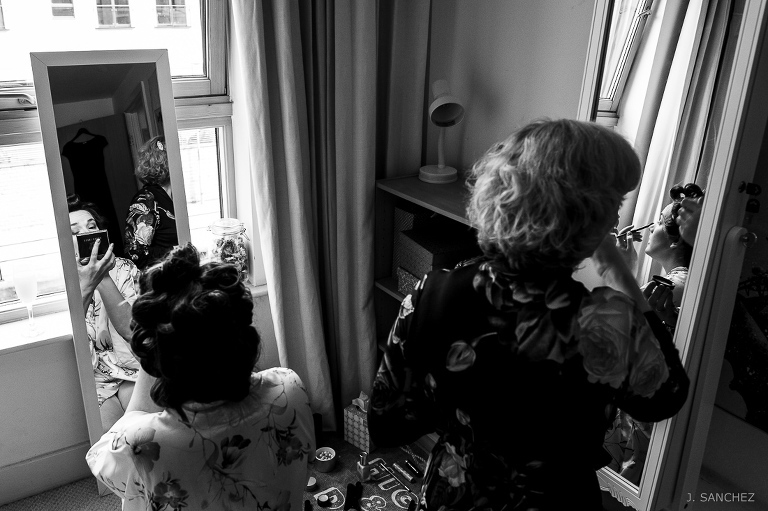 When the bride is getting ready it’s a moment that I love to photograph, they are usually sorting out the last things and putting the finishing touches to everything, and maybe they are in a bit of a rush! These preoccupations make them forget that I’m there taking pictures, giving me very natural pictures …. so all I have to do then is find the best light and composition! Once prepared, the father of the bride came to take the bride to the ceremony by water taxi…. Yes, there is a water taxi from Leeds Dock and Granary Wharf along the canal. 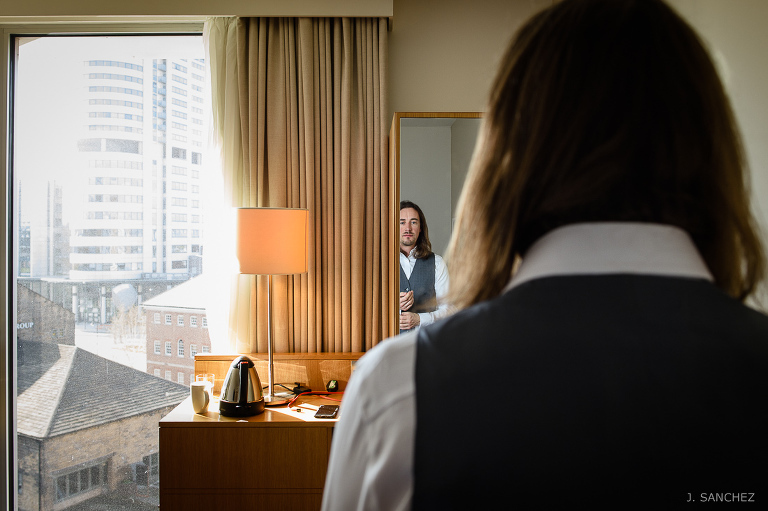 The groom was waiting for the bride at DoubleTree Hilton hotel, the room for the wedding ceremony was surrounded by a “glass wall” that showed a really pleasant view of the old docks and the Leeds – Liverpool canal. After the wedding breakfast and speeches, the couple, family and friends were having drinks in the Sky Lounge bar on the top floor of the hotel, from here you can see impressive views of Leeds and Yorkshire. And as always to finish, the first dance and the party, but in this case there was a surprise; the groom played the drums in a band formed by friends. They played some classic rocks songs, and to round off the special day the bride was encouraged to sing the last song providing a great memory for all to look back on. I would like to thank you both for all the concern towards me, this made my job more pleasant and relaxed. If you are going to celebrate your wedding at Double Tree at Hilton Leeds, or wherever and if you like my wedding photography style just have a look at my portfolio and send me an email. View all the wedding pictures, password is required. « WOOD HALL HOTEL WEDDING – JO & NEIL.